The square solution for fast and easy assembly in series production. Thanks to its rectangular housing (L x W x H: 65 x 15 x 15 mm), the MVsquare is particularly quick and easy to install. The module was primarily developed for series production of 3D machine vision systems. It comes with focus, beam position and other parameters pre-aligned according to customer specifications and can be attached to the system without additional adjustments. The predefined settings remain unaffected in finished product. 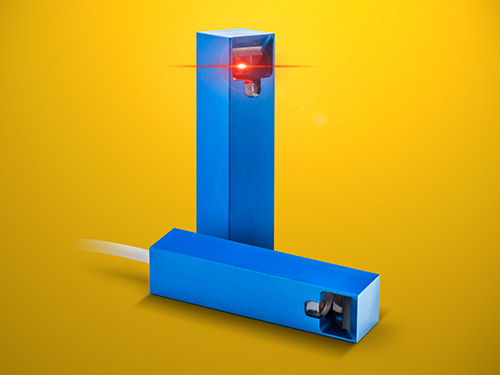 At the customer's request, the MVsquare is also available in a version for space-saving installation in which the laser beam is deflected by 90° and exits from the side of the housing.